What are my preschool options in West Contra Costa? Head Start promotes the school readiness of young children from low-income families through agencies in their local communities. There are 16 Head Start Centers throughout West Contra Costa County. All Head Start programs are full-year (12 months). Part-day Head Start is 8AM until noon or 1-5PM. Full-day Head Start for families who are working or attending job training is 6:30AM until 6PM. Head Start requires that you must need at least six hours of care daily, five days a week (M-F). The Early Head Start program serves low-income pregnant women and families with infants and toddlers from birth to age 3. Age eligibility. Children who are between birth and five years of age, and are not yet old enough to go to Kindergarten, are age eligible for Head Start. Income eligibility. Head Start follows three different income guidelines for all of its programs, which are all based on family size. Check out the Head Start/Early Head Start Income Guidelines. Need eligibility. If applying for Head Start’s full-day, full-year program, parents need to be working, in school or training, or incapacitated. Documentation is required for all need requirements. How do I get started enrolling my child in Head Start? Call Head Start’s enrollment hotline number in West County, (510) 374-7144. Fill out and print the Pre-Application Screening form (English or Spanish) and send it to the Head Start program as instructed at the top of the form. How much will Head Start cost? The comprehensive Head Start program is completely free to income-qualified families. The district has not yet officially updated all information on enrollment for the upcoming 2016-17 school year. Use the information below as a starting point. Applications can be picked up at the Early Learning Department, located at 4300 Cutting Boulevard in Portable #901, behind Kennedy High School. The department’s hours are Monday through Friday from 8:30AM – 11:30AM and 1PM – 3PM. Once applications are turned in, the district will set up an appointment with you to conduct next steps in the enrollment process. If your child was enrolled in WCCUSD preschool last year, you should have received something by mail regarding the re-certification process. If not, contact the Early Learning Program at (510) 307-4585. For children who have their fourth birthday on or before September 1st, 2016. For children who have their third birthday on or before September 1, 2016. 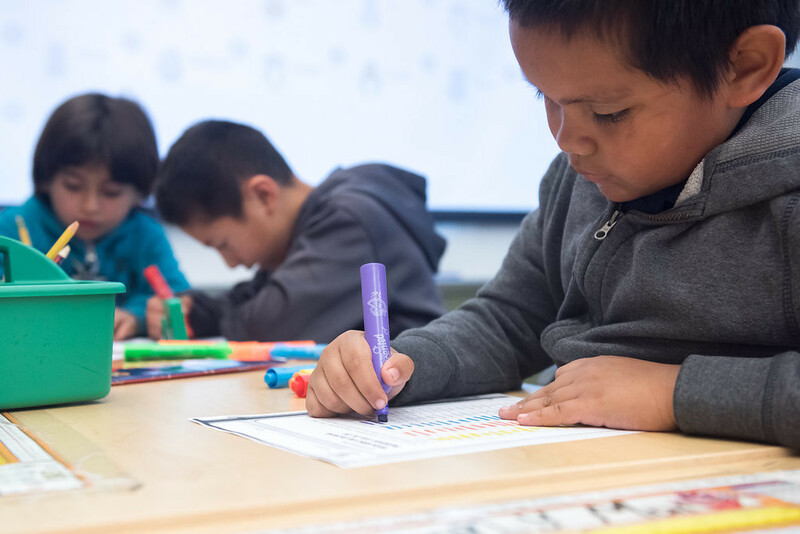 Transitional Kindergarten gives children the opportunity to adjust to the school environment with children their own age and develop strong learning skills, an important foundation for success in elementary school. A no-cost bridge between preschool and kindergarten, TK also provides our children with more time for hands-on, interactive learning. Access WCCUSD’s Transitional Kindergarten 2015-16 Brochure in English or Spanish. The following information was sourced from First 5 California. Click here to check out some of the other valuable resources housed in their online Learning Center, designed to empower parents, caregivers, families, and educators in supporting our children’s first five years. Why should my child go to preschool? Starting between the ages of 2 1/2 and 3, you will have the option of placing your child in preschool. Some parents may ask, “Why preschool? Isn’t my child learning enough at home or with a caregiver?” Of course nothing takes the place of a nurturing and loving home, and no one is more important to children than their family. But research shows that kids who attend quality preschool have higher math and reading skills, are better prepared for kindergarten, behave better in class, and are more likely to graduate from high school and go to college. Has my child learned to be independent? Most preschools require that kids do basic skills on their own, like washing their hands, going to the bathroom, sleeping alone, and eating lunch without help. Has my child ever spent some time away from me? Kids who have spent some time with a caregiver are better prepared for preschool because they know it’s okay to be away from their parents for a bit. If you haven’t had any time away from your child, schedule some opportunities. Let your child stay with a grandparent for an afternoon every week or get a babysitter to care for your child occasionally. Can my child work on projects by himself? Projects like drawing, painting, and completing puzzles require that kids stay concentrated on what they’re doing and finish a task by themselves. If your child always asks for your help, slowly teach him to do things by himself. When you’re making a meal, encourage your child to sit at the table and draw a picture or build a structure out of blocks. Give a high five and praise him when it’s done. Is my child ready for group activities? Kids under 3 are accustomed to playing separately from other kids, but in preschool, many of the activities require that all the kids do the same thing at once. Get your child used to group activities by going to storytime at your local library. City and town recreation departments often offer low-cost classes for little ones, too. Can my child stay awake and be happy during preschool? Kids need a lot of energy to keep up with all the activities offered at preschool. Think about whether your child likes moving quickly from one activity to the next without getting upset. Also, consider your child’s nap schedule. Most preschools have nap time right after lunch for an hour or two. If your child still takes a nap in the morning or sleeps for a long time in the afternoon, it may not be time yet to go to school for a full day. Many factors need to be considered when you’re looking for a quality preschool and it takes time to find the right one. Qualified teachers are an important part of your child’s early education because they’re the ones who will instruct your child, and offer comfort and encouragement. Ask the preschool director about teacher qualifications, such as the number of teachers who have completed college courses or degrees in early childhood education. Find out if teachers have been trained in CPR, first aid, and infection control. Ask how long teachers have worked at the school. Watch how teachers interact with the kids. They should be warm, affectionate, and show enthusiasm about the children’s projects. Make sure the teachers are having conversations with the kids in their class. Watch to see if the teachers are kneeling down so they can play and talk to kids at eye level instead of looking down at them. Has a variety of learning opportunities where kids are taught in a class setting, in a small group, or one-on-one with the teacher. Offers a range of activities from solving puzzles to playing outside. Lets teachers “connect the dots” by linking your child’s experiences to learning objectives. For example, if a child drops a ball, the teacher could talk about gravity. Find out whether the teacher can tell you not only what the class is doing, but also why they’re doing it. Does the school meet state regulations for teacher-to-child ratio? In general, there should be one teacher for every 10 kids. Are there separate learning centers for writing, art, and reading? Is there a good playground? Do children have access to computers? Does the classroom have plenty of books and educational toys, such as blocks and puzzles? Do they provide breakfast or lunch? If so, check the menu. Make sure the meals and snacks are nutritious and include lots of fruits and vegetables, and that beverages are healthy – mainly water and reduced-fat milk. Do the children in the classroom seem busy and engaged in an activity? Can parents stop by at any time during the day? As you’re searching for the right preschool, don’t be shy – ask the preschool director and staff lots of questions!